By Penny Wilson Voice Network Badge Voice Network contributor, an ongoing writer for our guest opinion column. There’s no shortage of predictions at the start of a new year, especially for marketers. Deciding where to invest your time and money is hard enough without long lists of flash-in-the-pan fads and experimental tactics. So, when we produce our annual Social Trends Report at Hootsuite, we focus our analysis on trends that are both realistic and actionable. We’ve combed through global data, survey results, and analyst reports—and here are the five biggest trends we believe are worth pursuing in 2018. As a chief marketing officer, I expect to see business results from social strategies. Likes, comments and shares don’t show the true value that social media brings to the business. The demise of these short-sighted “vanity” metrics has been predicted for years, but in 2018, I think we’ll finally see this long-promised shift finally take place. Why? Organizations are discovering the value social can bring to other phases of the customer journey besides top-of-funnel engagement—from lowering customer-service costs to attracting top talent. Some are even feeding social insights into supply chain analyses. Marketers must rethink their metrics as their social strategies mature, since strict ROI calculations (which divide revenue by cost) only capture part of social media’s value. How to take advantage of this: Invest in activities you can measure. Set simple targets, such as boosting event attendance with social or reducing customer churn by identifying at-risk customers with social listening. Or use direct-response tools offered by social networks to draw a straight line between social activity and direct sales. As consumption of video content skyrockets, brands have turned into publishers. But in 2018, social networks will encourage brands to become broadcasters as mobile video and social TV-style programming take the spotlight. Creating broadcast-style content won’t work for every brand, but for many industries, this will open up innovative social advertising formats and bold new ways to engage social audiences. How to take advantage of this: Combine search-engine optimization and Facebook Live. Once your Live broadcast is complete, Facebook videos are also indexed by Google. Target high-volume keywords and include a text summary under the video to be picked up by the Google bots. According to Edelman’s global study of consumer confidence, consumer trust in the media, academics, CEOs and government sunk to historic lows in 2017. This erosion of trust in mainstream institutions impacts both businesses and consumers. As trust in governments and corporations declines, consumers turn to a familiar source: each other. In 2018, we’re moving toward smaller spheres of influence where customer advocates, micro-influencers and engaged employees matter more than ever. How to take advantage of this: Set long-term goals for employee and customer advocacy. Advocacy is a great way to fight declining organic reach, and it also builds real and lasting human relationships with customers and employees. Focus on creating meaningful customer and employee advocacy, rather than chasing quick fixes for boosting organic traffic. Automation can be exceptionally useful, but artificial-intelligence strategies must stay focused on being human, helpful and relevant at scale. AI is still a future-facing trend, but marketers can expect to start reaping the practical benefits in 2018. Facebook, for example, has released new predictive analytics to help marketers find insights faster. And visual search engines are using machine learning to help consumers search by images rather than keywords—a shift that will redefine the future of online product browsing. How to take advantage of this: Focus on one of the four AI use cases. Social commerce: Help customers research or complete purchases. Customer care: Use a bot to reduce frequently-asked-questions interactions that could easily be automated, giving social teams more time to build relationships. Content delivery: Help social audiences binge-consume related content after discovering you on social channels. Analytics: Reduce manual reporting and use predictive analytics to arrive at insights faster. There’s been a lot of talk about the benefits of uncovering customer insights with social data. But integrating social data with other analytics systems—or finding usable insights from mountains of social mentions—requires more work and resources than many organizations previously thought. In 2018, the promise of social data remains, but organizations will have to recalculate the effort and resources needed to turn it into a true source of customer insights that can be used across the enterprise. How to take advantage of this: Apply social data to your business’ challenges. Social data is a valuable source of customer intelligence. Leverage this unvarnished truth at scale to help solve urgent business challenges or provide feedback to product development. 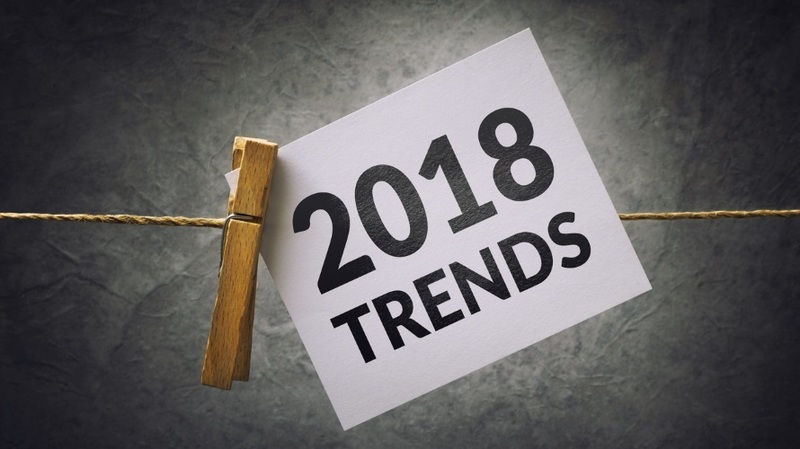 You don’t have to take a huge gamble in 2018 to take advantage of these trends. Start small and invest in the trends that are most aligned with your current social media strategies. Remember, social media is about connecting one-on-one with your audience. So, no matter which trends you follow, keep your customers at the core. Penny Wilson is chief marketing officer at social media management platform Hootsuite.